Trending! 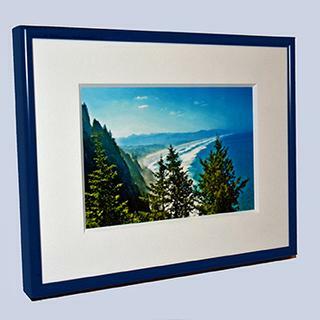 This navy metal picture frame features a narrow, rounded profile and semi-gloss finish ideal for your tropical vacation photos, colorful prints, mosaics or drawings. Enhance the look with a mat – or two! Anywhere in home or the gallery, your art will catch the eyes. Frame your favorite photos for personalized gifts! Customize your size to 1/8th of an inch. The metal frame was okay but the matte was cut incorrectly so we had to fix it manually. Hello Diane! Thank you for letting us know about the issue you experienced with the order. We apologize for the inconvenience and we encourage you to call us if you have any concerns. Our policy is to replace any improperly cut Mats or discrepancy with the order. We expect each order to arrive in the best condition and to exceed your expectations. If you have any questions or concerns, please give me a call directly at 1-800-332-8884. Thank you for your business. 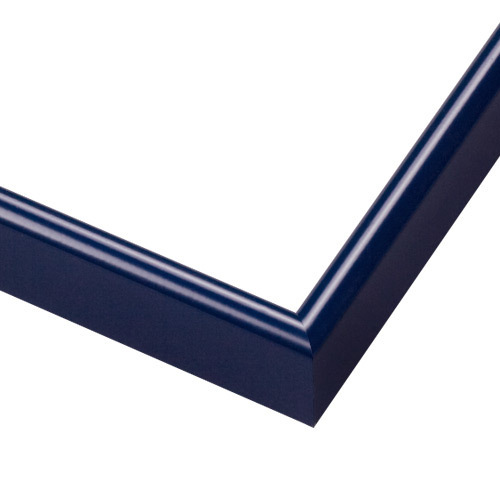 The frame with the lapis mat looks wonderful. Very pleased—it’s so striking, our daughter-in-law is going to order the same combination for a very different print. The ability to get samples from the company made all the difference—made it possible for us to order with confidence. I ordered this frame for a project im working on, the frame is just fine but I haven't put my project together yet. Once I get it done I will let you know how it turned out. Nice simple frame; looks good and complements my picture. 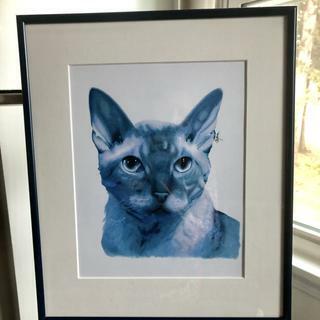 Love this frame for my kitty’s amazing blue portrai done by a friend. Blue frame for my blue kitty! The frame was what I expected, however, I do prefer a wood frame rather than metal. These navy frames coordinate with my tropical bird art. I've been using Graphic Dimensions for years to frame art and photos. Quality frames, good customer service. Like blue plus there is blue in the glasses. The frame color highlights the the dominate color in the print. I wanted a small blue frame as to not overwhelm the beautiful picture I am putting in the frame!!!! I chose this for a collection of Ink blotters I have. The frames come in many great color choices and are easy to put together. Also the price was reasonable. It's such a good match with the Lapis acid-free mat board--the perfect look. This frame is a good choice to complement my 1961 vintage photo, giving it a bit of color, without being too distracting. I have used this frame before and was very satisfied with it!